If you're a beginner at beekeeping, you might be confused as to where to start. But if you want to keep bees, this guide will show you how, step by step, from ordering the bees to choosing your hive to getting everything set up when they arrive. It might seem strange to order bees before you get everything else together for beekeeping, but it's important because most places don't have bees for sale by the time spring is well underway. January is the time to order your bees for shipment or pickup in April or May. Local beekeeping associations are a great place to start asking around for bees. And you'll want to decide whether package bees, nucs, catching a swarm, or buying an already-started hive is the right choice for you. Each has its advantages and disadvantages. There are two main systems that are used in beekeeping. One is called the Langstroth hive, and it's composed of boxes that are stacked on top of each other, each containing frames where the bees build their comb and store honey. You pull the boxes out like drawers to access the bees, harvest honey, and perform maintenance tasks. You can add boxes vertically if your hive needs more space. The other is a top-bar hive, where the bees' frames are arranged horizontally, not vertically. The bees make comb without foundation in this system. Each bar, containing comb and honey, is pulled up out of the hive from the top. You'll need to choose which system is right for your needs. Most beekeepers use a Langstroth hive. Keeping bees requires an investment upfront in supplies. 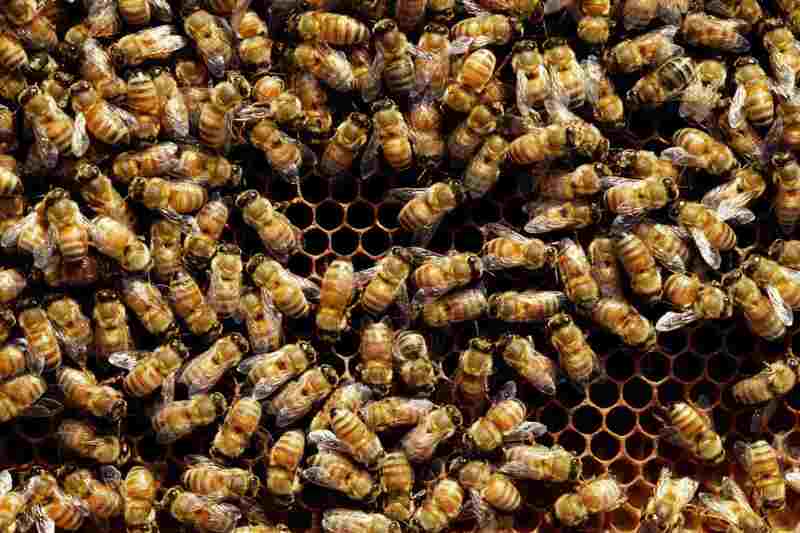 Once you've decided on the type of hive, you'll need to purchase that, but you'll also need a few bee tools, some protective clothing, and feeding supplies. You can also brush up on your bee information by reading some beginner beekeeping books. Now comes the fun part! Your bees have arrived and it's time to set up the hive and get them settled. This step-by-step will show you how to safely and comfortably introduce the bees to their new home. Then, sit back and let them settle in while you observe the comings and goings. So much fun! Month by month, season by season, bees need ongoing care. But they don't require a huge time investment. It's important that you check on them somewhat frequently, but observation is a good percentage of what you'll do to keep your bees happy. Just watching hive activity can be relaxing and informative. You can organize beekeeping tasks by the season, from setting the bees up in spring to harvesting honey, to preparing the hive for winter.